Instagram is one of the hottest social media platforms on social media right now. The people on this platform are the individuals who make this platform so great. There is so much to do and find on Instagram it’s actually overwhelming at times. This also means that you might have some trouble pushing your brand out there, especially if you are a new brand on the platform. There are so many people trying to accomplish similar goals on Instagram, which is why I’ve included some needed tips for those who want to make a greater conversion to your Instagram ads. Instagram is known for the quality images that are posted and the opportunities people have when they have a larger following. This will often lead to influencers, ad campaigns, and quality content that anyone could fall in love with. In this article, I’ll be giving you some important tips so you can make the most out of your ads and brand as a whole. 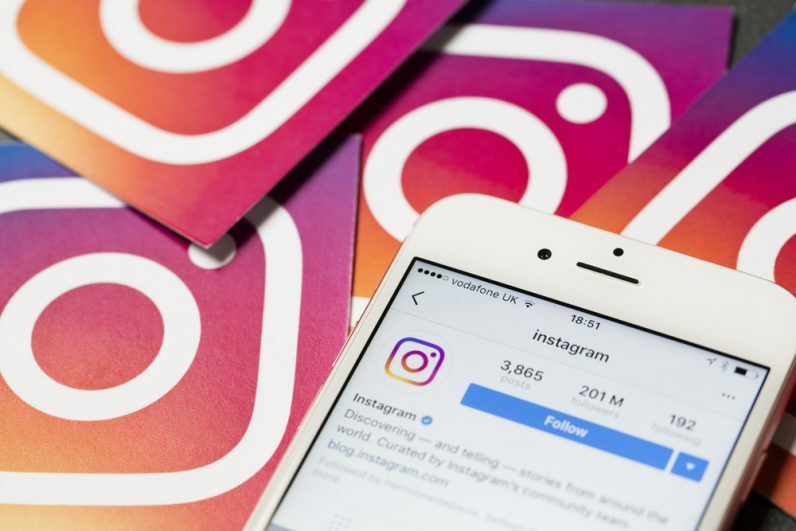 I’ll be walking you through each of these steps so you can continue to make the most out of what your business has to offer the audience Instagram has to offer. Whenever your brand posts something on Instagram, it should always match your brand identity, you should always be able to tell that you have a visual story because of the color, image type, and the overall quality. For example, Tacobell’s Instagram is full of bright colors, bold graphics, and of course their great food. When this is the overall theme throughout the Instagram, when people scroll through their feed, it makes it look professional, enticing, and makes people want to be involved. They even have reached out to influencers for the creation of sponsored blog posts. Just think before you post, are the images you’re about to post actually in line with your brand? One thing many brands actually don’t take part in is retargeting campaigns that focus on individuals who have actually visited the site during a previous campaign but did not buy something. This could entice those same individuals to visit again and finally buy what they were looking for. Even Instagram has made a comment about this, basically stating that because of how popular and versatile Instagram ads are, they allow you to target specific groups of individuals that follow you to make sure the most likely individuals to purchase from you are seeing the content right in front of them. Instagram ads and retargeting campaigns will also make it much easier to see exactly who is enjoying what kind of content they are seeing from your brand. Influencers are social media rock stars, they have a large following and they work with brands to sell their products to their audience. They’re typically very specific about what brands work with them, but they’re a great asset to have when trying to push a new product to the people who would use it most exist right there in someone else’s audience. When you connect with other big social media influencers in the community, you’ll have the chance to benefit from each other which can be a win-win situation overall. People are often afraid to buy items on the internet, be it a product or service. To build trust, you have to prove to these people that your product or service is worth buying. You need to shoot professional videos or gifs of the product so you can showcase your product in action. This will clear up any misunderstandings people might have had about the product as well! User created content is a great idea to bring in more people to your brand and it shows curious people that customers actually like the product they bought from your brand. A great way to introduce this into your brand is by reposting images people take of your product and post themselves. If you end up doing this, I suggest that you appropriately credit them as well, so they can see that a brand they like reposted their content, plus this will show them that you want to make sure they’re getting credit for the work they put into that shot! When you bring on influencers to work with you and your brand, you need to make sure that you encourage them to make honest reviews. Don’t just pay them to promote your product and make it seem like you will only accept positive reviews. Tell them that you’re paying them to be honest and to give their real opinion about using the product. When an influencer creates content that’s honest, even if they have a little criticism, it will show their audience that they’re being real about the product, which is much more enticing than some influencer being fake about the whole thing. Lastly, a very important thing to remember when you’re on Instagram is to make sure that your content is relatable and funny. Stories also work really well when it comes to connecting with your audience and gaining their attention. You don’t always have to post serious stuff, but when you create content to keep it fun and light for your users to enjoy and relate to! Instagram is a world full of amazing content, it’s a place where people can explore and businesses can thrive. Hopefully, this list has helped you find new ways where you can expand your business and help get more conversion rates from your Instagram ads. When you put all of these tips in place, you’ll find out quite quickly how important they will be for the whole of your business. All in all, let us know what tips you want to see change your brand? Have you tried any of these tips yourself as well?